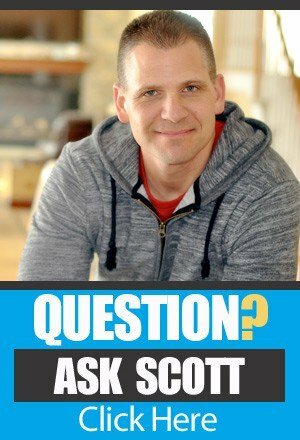 Are you fired up for another session of Ask Scott? If you don’t have the energy and excitement to get going on your own, let Scott give you a big jump start with this episode! On this episode of The Amazing Seller, you’ll hear from Scott as he goes over questions from TAS followers like you. Scott covers topics like what to do when you run out of stock, providing deep product discounts in exchange for reviews, variation restrictions, and much more! You don’t want to miss this helpful and exciting episode! How do you approach the situation when your inventory starts to dwindle? Do ease off your Pay Per Click spending? Or do you double down and continue your efforts in full force? What is the most effective way to approach this situation? On this episode of The Amazing Seller, you’ll hear from Scott as he explains how he would handle a similar situation as he has in the past. Scott’s advice when it comes down to it is to double down and really keep your foot on the gas. He doesn’t think easing up on your PPC approach is the way to go, he has found that pushing all the way until you are out of stock will show Amazon that you mean business. Hear Scott go further with this topic and more on this episode! What is your strategy to getting reviews for your products? Have you built a robust email list like Scott has advised? Do you give your products away at a steep discount to encourage people or groups to review your product? What is the most effective way to accomplish this goal? On this episode of The Amazing Seller, Scott gives his advice and how he suggests sellers like you procure reviews. Scott stresses that he doesn’t think giving a product away at a steep discount is the best way to go. 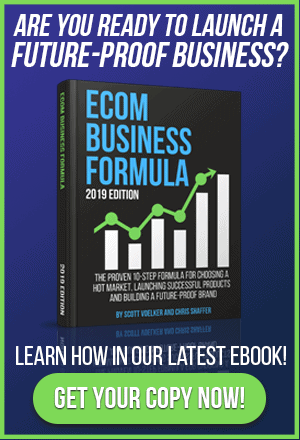 He explains that the best way forward with this goal in mind is to connect buyers with your email list. To get even more information on this subject, don’t miss this episode! What do you do when you hit a snag in the road when you are building your ecommerce business? Do just throw your hands up and surrender or do you push through and find a solution? On this episode of The Amazing Seller, Scott tackles an issue that might cause more inexperienced sellers to give up. It comes down to dealing with restrictions on your seller account that won’t allow you to add variations to your product. What would you do? Scott suggests reaching out to Amazon to have them convert your account to allow variations if you are in a category that normally would allow for variations. Get more great insight like this from Scott by listening to this helpful episode! [0:03] Scott’s introduction to this episode! [4:30] Scott shares an email from a TAS follower like you. [8:30] Question #1: What should I do as my stock dwindles? [16:30] Question #2: Can buyers leave a review of my product if I give them a huge discount? Will Amazon allow that? [22:30] Question #3: How do sellers list with variations in categories that don’t allow it? …to be here today to do it again. We’re getting ready for fourth quarter and it’s pretty exciting, could be a little nerve racking at times but it’s pretty exciting, to say the least. I was talking to one of my buddies the other day and we were talking about business in general. We were just talking business and it’s funny, every time I generally talk about things it always relates back to business. We were talking and I said, “One of the things I think over the years that I’ve learned to do, that allows me to stay motivated and to really stay with the process and just enjoy the process is to gamify it.” I mentioned this to Chris Shaffer too and he was like, “Yeah, that makes total sense.” It’s like we gamify it in a sense to where we understand that we are not always going to win. We always know that there’s going to be challenges. There’s going to be different levels to the game that are going to be harder that the level we were just on. I’m kind of going back to my Super Nintendo days with Super Mario Brothers, when I was a kid playing that game and we used to go hours and we were just trying to get to the next level but we would, in the game we die we lose our men or whatever, our turns and then we would have to reset and start over again and then start to get through those levels. We get through those first levels easy, then when we get to those other ones that we were having problems with we’d have to figure it out as we go. That’s the same thing in business. It’s we have to think about it that way. I also use an example as far as sports. [00:02:02] Scott: Ohio State was playing, any Ohio State fans out there let me hear you. Anyone that has watched a football game, they might go out there in the first half and they may not be doing that well. Then they have to readjust. They run a play and they see what happens. They react to what just happened on the last play. Same thing with baseball. A pitcher will go in there and throw three different pitches at you. If he sees that the sinker is really working, he’s going to keep throwing that sinker. He might be then moving it around, up, down, inside outside but he’s going to still use the tools that he knows works but he also knows that he might not win and there’s plenty of times that a pitcher goes out there and they lose but they come back the next time and they figure it out or they go at it again with a different approach or different mindset. I can’t stress that enough because there’s a lot of people listening or out there trying to run a business or start a business and they feel like they are just not lucky, everyone else is lucky out there. No, the people that are out there that are successful in your eyes I’m sure probably failed more times than they succeeded. I know I’m an example of that. There’s plenty things that I’ve done, there’ plenty things that I’m going to do that are not going to be successful. But I have to then go back to what has worked in the past and then understand that it’s a process and when that thing worked, I didn’t necessarily plan for some of the things to happen that led me up to what actually worked. I just wanted to address that here because I know a lot of people they get frustrated and I get it. Totally get it and I’m with you. But I also know from all the emails that I get and the social media response and all that stuff from people that communicate with me and they share with me a little bit of their story it allows me to see yes, they get it. They understand the process and before we jump into today’s questions and actually by the way, I should probably tell you what we’re going to be talking about. [00:04:03] Scott: I like to do that beforehand now. We’re going to talk about running out of stock. We’re going to talk about deep product discounts as building an email list or just boosting sales and we’re going to talk about variation restrictions. Those are the three things we’re going to address but before we do I did want to read this to you guys because it allowed me to see the power in the podcast, number one and being able to reach people but then also people taking action and then seeing a result and then really adjusting when that happens. This is the email and it’s from Alfred. Alfred says, the title is ‘Ecommerce newbie to live in Amazon in 90 days. ACTION TAKER.’ He says, “Hey, hey what’s up Scott. I just had to email you and say thank you for everything you’re doing for the community and paying it forward. I had no knowledge of ecommerce or Amazon. In March I lost my job and started looking for opportunities. I found Amazon and it just clicked in my head. First I decided to validate the business by searching every fee that became associated on Amazon. March 19th first YouTube video,” it’s when he found the first YouTube video and he fast forwarded it 90 days and he was live on Amazon. But 250 units he says, “I worked full time, paycheck to paycheck but I knew, I needed to take action for my future.” Who with no computer started researching and found a source-able product and went for it 45 days from going live. Had two SKUs now and did just under $3,500 in that time. No profit. “I actually lost money but I’m so excited because it works and I followed your strategy for pay-per-click by the way, the one that Dom outlined.” We talk a lot about that with Dom. Dom’s got an approach of really just using pay-per-click as the launch or during the launch really aggressively but then also lowering the price a little bit more than your competitors. [00:06:10] Scott: So this way here you’re lowering the barrier to entry but then you’re also getting visibility with pay-per-click. Then he says, “I had some things happen but your podcast made me ready for it all. Fake review on the first day of selling. No problem. Reported it and removed by Amazon. Hijacker, sent your cease and desist template, boom! Gone. New competitors, good thing. I differentiated. Hard to get reviews. Good thing my competitors are low as well.” So, again hard to get reviews but went into a market that doesn’t require a ton of reviews. I’ve talked a lot about that. “Product has no electrical components, actually only four pieces total and small and lightweight. Your podcast has made this all possible and I stopped pay-per-click as I was running out of inventory but still doing three to five sales per day for the last two weeks. So I had a few $50 profit days. Scott just a huge thanks for everything you do for us. Taking action since April 2017. Alfred.” Hey, thank you so much for that email and I want to just share that with you guys because that fires me up and it gets me ready for this Friday edition of Ask Scott because we’re connecting as a community. We’re connecting as if we’re sitting down around that coffee table discussing business, your ideas, things that work, things that didn’t work and that’s what I’m going to continue to do here on the podcast. So I’m fired up guys. If you guys want the show notes to this episode, I was going to remind you guys, just in case. Head over to theamazingseller.com/412 and then I’ll also remind you, if you want to ask a question, and have it aired on an upcoming show, head over to theamazingseller.com/ask. The last thing that I should mention is if you guys are brand new and you’re just tuning in and you’re like, I have no idea where to start, well I’ve created a workshop where I walk you through everything in a condensed everything, all 400 plus episodes. [00:08:05] Scott: I condense everything to five phases for launching your product. If you guys are interested in checking that out, head over to theamazingseller.com/workshop. You can register for an upcoming workshop there. I’m pumped. You guys pumped? You guys ready to kick it in there and get ready to start listening to some of these questions that I’m going to address them for you guys? Are you guys ready? You guys ready? I need a little excitement from you guys. Say in the car or on the run, say, “Yes Scott, I’m ready.” So let’s do it guys. Let’s jump in, let’s listen to today’s first question and I’ll give you my answer. [00:08:37] Daniel: Hi Scott. My name is Daniel. Big fan of the show. Been listening for about eight months now. My friend and I have launched three products on Amazon. Thanks so much part to your advice and wisdom. Thank you for that. We really appreciate it. If you’re ever in central California, let us know, we’ll give you a little tour, some free coffee, some free beer and maybe even a little bit of wine if you’re a wine guy. But onto the question, we have our reorder is not coming in until later than we would like so we have about a month gap. Basically we will be running out of stock of our three products. We have one main one and two secondary products. Our question is do we just keep selling those three products and have them all run out of inventory for about a month or we can stop selling the secondary products right now and that will allow us to sell our main product almost all the way up to until we get our reorder. We probably have a week or two week shortage. The other option would be to stop selling our main product right now and just sell our secondary products and 100% we’d be able to sell those secondary products all the way until we got our re-order. Couple other things to note, we make slightly more profit on our secondary products than our main product. We also have more reviews on our main product so when we launch it back up, we are not as worried about getting the sales volume back up. Whereas both secondary products they are in the single digits for reviews. So we’re kind of in predicament and we are not really sure where to go. Any advice would be appreciated and thank you so much for the podcast. [00:10:30] Scott: Hey, Daniel thank you so much for the question and thank you so much for that offer. I may take you up on that. Love coffee, I love an occasional beer and I also love occasional nice bottle of wine. So, yeah, I think we’ll get along just fine. So Daniel, thank you for that offer and the next time I’m in town I’ll let you know for sure. That sounds amazing. Okay, awesome that you started by the way. It sounds like you’ve got a partner, so cool. Hope that’s going well. Sounds like it is. You have a good problem. You have a good problem here. You have three products and it sounds like they are all related to each other, which is great. But the problem that you’re having and I’m having a similar problem as I record this right now is stock, running out of stock. That is a big question we ask ourselves. I think probably about a year and a half or two years ago, I would probably say I would want to slowly raise my price so I didn’t go out of stock. I’ve since changed that especially now that I see how hard it is to get back up and running if you don’t have an email list and people that have emailed me, I think for us it’s going to be not that big of a deal because we do have the email list and I’ll keep you guys informed on that. We have run out of stock on a couple other items and that’s worked okay. This next one will really prove that the email list is a big, big asset and I’m going to be using that to our advantage. But to get to your question, I would probably say I would not want to stop selling anything. If that means you’re going to run out of stock well, you’re going to run out of stock. Now, some could argue and say, “But yeah, wouldn’t you want to at least just keep some stock in and maybe just slow it down?” Yes and no. The thing is once you start to pull back on the reins and start to slow things down, guess what? Amazon knows that. [00:12:32] Scott: What I mean by that is your conversion rate is going to start to be affected so now when you go back in stock, you’re going to have to remind Amazon what your conversion rate could be like. In our case, we’re going to be using our email list to really boost that. We went out on a bang. We didn’t slow down sales at all. Actually, we probably couldn’t if we wanted to because before we knew it we were sold out. We had about 230 units left in stock, somewhere around there. 220/230 and we just sent out an email to our list, I think we’re going get rid of probably 100. We didn’t even discount our product. We just sent it out. Hey, I just want to let you know here’s a tip and then oh by the way we’ve been getting really good feedback on this new thing. We’ve been doing that and that’s been working. Well, we sent out this email and then it got shared, our product got shared on another page, on a Facebook page and it blew up. One of our email subscribers shared it. Now if they didn’t share it, we probably would have sold 75 or 100 over the course of two or three days. That was the plan. That’ what we were hoping to do. Then by the time those other units get to about 20 or 30 a day, by that time we’d be back in stock because we already had stock on the way. We had 1500 units in transit. They were supposed to be here about a week and a half to two weeks ago. So we got bit there, we weren’t expecting some of these hang ups. We found out that our inventory was shipped to a wrong location and then they had to go through customs again. It was just a mess. So again, as I talked in the beginning guys about gamifying it, and understanding that this stuff is going to happen, we got it. We understand that so we are not surprised. We are disappointed that we got to go ahead and press reset and start over and start the game again. [00:14:30] Scott: But we understand that this is part of business and it’s going to happen. But to go back to your question Daniel is, I probably would not want to slow down sales. I would just want to keep selling the velocity. If you want to bump it a dollar and see what happens you can but I would want to keep that conversion rate high. I’d want to go out on a band and then from there when you come back in you’re going to have to do less work. Maybe turn on a little bit of pay-per-click and start getting eyeballs. But I would never want to just kill my inventory or stop selling it just so there is some inventory there and pause sales for a week or two. That just makes me cringe a little bit because we know that we can be selling and we want to be able to keep those sales going in that velocity because if we do that we’re going to be remembered as that and then we continually keep our ranking going and boosting and all that stuff. That would be my opinion and my take. That’s my strategy but it doesn’t mean that what you’re saying wouldn’t work either. Sounds like you’ve got a few options there with having three products and your second one has more margin and all that stuff. I hope that this helped you and who knows, maybe by the time you listen to this you already fixed it or did what you were going to do. But that would be my thoughts. If you guys listening anyone is running into this or going to run into this, I always kind of lean on the side of going out of inventory with a bang like with high conversions. Then from there when you get back in stock, turn on pay-per-click, if you’ve got an email list let them know you’re back in stock, do a little three day promotion and you’re back up and running. It will be a lot faster to get ranking again and get your BSR to climb than it would be if you went out with a slow rate of sales. It just makes more sense to me. Anyway, hopefully this helped you or anyone else listening. Let’s go ahead and listen to the next question and I’ll give you my answer. [00:16:28] Speaker: Hi Scott. This is [inaudible] from Japan. I would like to ask you I am running Facebook Ad with my landing page. I’m sending people with that landing page for free product or 90% discount for boost the sale ranking Amazon. My question is if I give them 90% discount or free product, can Amazon will remove that review? Also how can I send them this free product? I might need to do fulfillment order in Amazon? Can you please give me little information about that? Thank you very much for information. [00:17:10] Scott: Okay, this is a great two part question and I’m not even going to try to pronounce your name because it was hard to hear and I don’t want to sound like a fool on the podcast. I just want to say thank you for the question, first and foremost and it’s good. It’s a good question and really what you’re asking is should you discount you… Well not even should you discount, if you discount your product at 90% or more will Amazon still allow people to leave a review? The answer is sometimes from what I’ve heard. For me I don’t know personally because I don’t give 90% off any more. But I know there’s still deal sites that are allowing up to 90% off and from what I gather yes, the review will be there. It will probably not be a verified review. Again, these are things that change all the time so I’d hate to give you advice and say yes it will or no it won’t or it will be but it won’t be verified. My thought is this, I wouldn’t necessarily be doing the whole, “I’m going to give product away at 90% discount because I want to get reviews.” That’s not what I would do. If you want to give product away to get sales boost, to get velocity going, momentum, ranking and all that stuff, who cares about the review? You’re not doing it for the review. I always look at the review as the secondary part of that. If you’re in a competitive space and you’re going after reviews, that’s a different story but if that is the case then you really need to start thinking about that email list and start to give people a way for you to communicate with them so they know they can trust your brand and then you can also let them know there that you would like a review but then also you can give them a discount of maybe 50% off or 30% off. Then you should have no problem getting a review. But I hear a lot of people still thinking, with the mindset I’ve got to focus on getting reviews I’ve got to focus on getting reviews. The thing is, the only way that you should be even thinking about that is if you’re in a competitive space and if you are, then that’s another whole animal. [00:19:11] Scott: Then yes, you’re going to have to go out there and be creative and I had someone ask me this the other day. They said, are most successful brands that are on Amazon that are solely selling on Amazon, that are selling hundreds a day, are they within terms of service. My answer was, yes and no. I’m sure probably a majority of them are probably violating terms of service in some way, shape or form. Not like majorly but maybe kind of twisting away that you could ask for a review or incentivizing like is that still happening? Most likely. But I lean on the side of I want to find products that have low reviews that are still getting ten plus sales a day. So, let me repeat that. I like to find products that have low reviews, 200 or less and that are still getting ten plus units a day in sales. That’s it. That’s the secret sauce for me. People that I know that are being successful in my world have products that don’t need a lot of reviews. They don’t focus on just getting reviews, they focus on sales, they focus on brand, they focus on email list and, they focus on Facebook ads but not driving Facebook ads just for the sale. What I would say to you too is hopefully you’re doing this. If you’re offering a 90% off discount for your product that you’re intercepting that with a landing page that can get an email address so then you can give them the code and then you can follow up with those people outside of that but I hope you’re not asking for them to give you a review because you gave them a code. I would be very careful with that. Number one if you are giving a discount away at a deep, deep discount of 90% or even 80% or 75%, there’s a chance that that review won’t stick. There is a chance for this. If you’re going for that, you’re going to be disappointed because you’re going to spend money to drive traffic from Facebook to your product in hopes to get a review. Well Amazon is going fulfill that product because you’re giving them a discount code. Now, if you’re going to give them the code but yet… You’re going to give them 90% off but you’re not going to give them a code, I’m not sure why you would do that but you could always manually fulfill it yourself or create your own order with that person’s information and send them one. But if you’re doing a 90% off discount code or a 75% off or whatever the code is, you’re going to give them that code, they are going to enter it and then you’re going to fulfill it. They are going to fulfill that for you so that’s basically how that works. Hopefully that made sense. Thank you so much for the question, good luck to you, keep me posted and let’s go ahead and listen to the last question for today and I’ll give you my answer. Let’s do it. [00:22:45] Zack: Hi Scott. This is Zack from the Bay area, San Francisco area. I’ve been listening to your show for about two months now. My question to you is I see other sellers selling in a category with variations that don’t allow for variations or at least when I try to add a product it doesn’t allow for variations but yet I see other sellers with variations. Can you enlighten me on this? The category I’m dealing with is toys and I have variations of the same thing. I’m not too sure how other people are doing it. I’ve always had to list them as separate listings. Any insight would be great. I appreciate the time that you’ve listened to this and hopefully answered. Have a great day. Bye. [00:23:40] Scott: Hi Zack. Thank you so much for the question and also thank you for being a listener for two months now. That’s pretty awesome. Thank you so much. So kind of a new listener in a sense. But hey, I just want to say thank you and thank you for the question. I’m not quite sure what’s happening. I have an idea of what’s happening but you’re basically saying you want to have a variation and it sounds like in say toys and games that you want to have variations and you’re not able to have variations. It sounds like you just might not have set up your listing to have variations. I have seen in that category and I actually know people that are in that category that do have variations. Could be a color variation, could be a size variation. So I’m not quite sure what’s happening. If you have a list that you’ve already created that you are unable to add a variation you need to either use the flat file which you guys have probably heard me talk about that Chris Shaffer knows how to use and I don’t and I don’t care to. I would just reach out to Amazon and ask them to convert my listing and add a variation to it. That’s what I would do. Now they make it so easy to add a variations but it’s easier if you do it from the start. So if you’re starting right now and you create a listing, you want to make sure that you set it up as a variation or a parent with child or with children. It’s basically your parent listing, is your main listing and then you’re going to have variations. Now, if you only have one product, one SKU that’s okay. That’s one variation underneath that parent. So in the future if you want to add a variation you can just click add variation to that listing with a little plus, there’s a little plus button there and then you’ll add another variation with all of the information as if you would a brand new listing. You may just be confused, unless there’s something that I’m not aware of in this category but from what I’m familiar with you can add a variation to just about any of the categories. [00:25:51] Scott: Again, may just be a misunderstanding on your part and maybe you’ve already set up the listing and now it seems as though you can’t set up the variation. If that was me I would probably reach out to Amazon, ask them if you can add the variation and then have them either do it for you or instruct you on how to do it. So that would be what I would do and yes you will want to add those variations especially if you have colors or sizes or even just a different style. That’s a great place to put the variations. Now, I have seen some that have variations that don’t show the little thumbnails down below and then I’ve seen some that do. That is going to be a category by category basis. But that’s out of your hands but if you can get the one with thumbnails it’s always better. I like to see that little thumbnail image but that’s going to be out of your hands. But that’s not what we’re talking about here. We’re talking about you just being able to add a variation and I think then that would be just for you to reach out to them and have them convert your listing to a parent-child listing and then this way here you can add variations when you want to. Even if you don’t ever add one, it’s okay. You can just have it sit there. It doesn’t have to be active technically. [00:27:54] Scott: The podcast we’ve done over 400 episodes now and really break that down into steps but then also in a condensed version. That you can register for at theamazingseller.com/workshop. All right guys. That is going to wrap it up. I’m pumped for fourth quarter which we’re going to be approaching here pretty soon. I’m going to be sharing with you the play by play, what’s happening with what we’re doing or brands that I’m working with, all of that stuff. If you guys have anything you want me to share that you think is going to be of value to our amazing TAS community, let me know. Just send an email, scott@theamazingseller.com and that will get to me and we’ll go ahead and take a look at it and see if it’s something that we would like to publish here. All right so that’s it guys. That’s going to pretty much wrap it up. As always remember I’m here for you, I believe in you and I’m rooting for you but you have to, you have to… Come on say it with me, say it loud, say it proud, say it with a little energy today, let’s do this, “Take action.” Have an awesome, amazing day and I’ll see you right back here on the next episode.